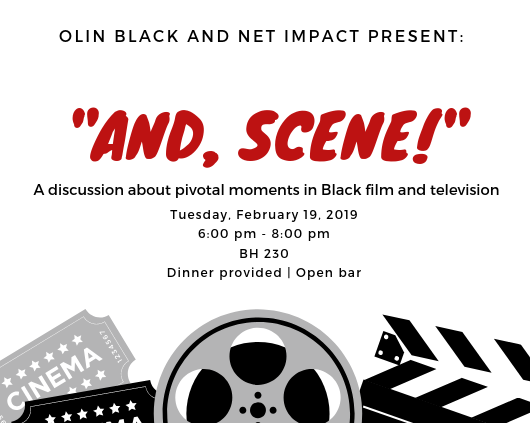 Join Olin Black for our second Black History Month event, "And, Scene!". We will be showing clips from movies and television shows that have sparked strong reaction and cultural discussions in society at large. There will be plenty of food, drinks, laughs, and thoughtful conversation! See you next week!